‘Lonesome George’ is a true to scale bronze sculpture of the infamous lonely giant tortoise whose discovered isolation promoted the start of animal conservation in the Galapagos Islands. This is a stunning, high detailed piece that remains as a beautiful echo of the lost creature. The use of line and mark making during the working process provide so much accuracy within the finished work that it sits as a realist portrait of the iconic tortoise. As a very popular sculpture within the park this work by David Cooke provokes an inquisitive character that encourages warmth in all viewers who recall the story of Lonesome George and delight in the captivating work before them. Placed in a lush green environment that contrasts the vast emptiness of his natural habitat the creature sits heavy and hulking amongst the grass. The distant look in his eyes is suggestive of both his loneliness and the extinction of this extraordinary animal. The weight of the work through its composition and the use of material invoke a powerful reality of how vast and weighty these great tortoises would have been. All manner of details, nudges of visual language, continuously echo the beauty and yet the sadness that encompasses Lonesome George. 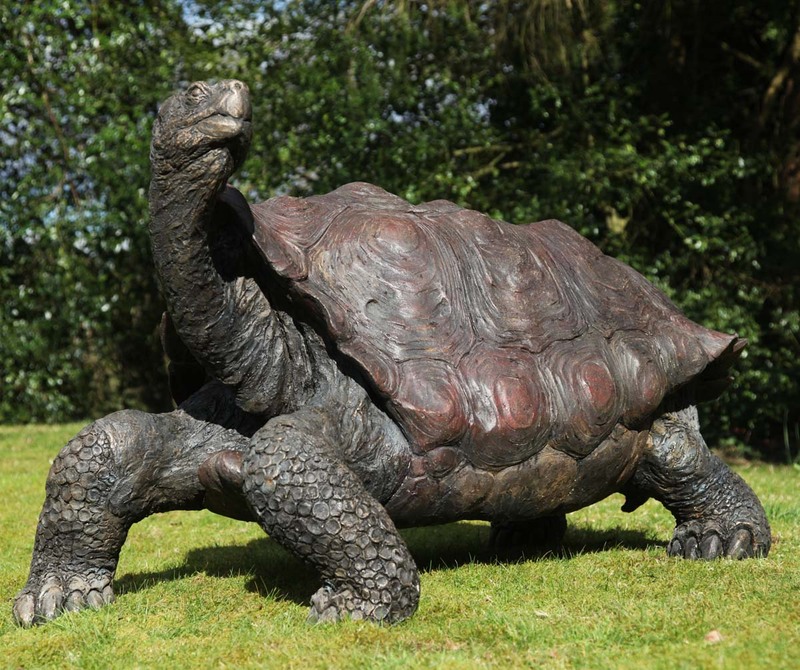 This entry was posted in and tagged Bronze Sculpture, david cooke, sculptor, tortoise on 28th May 2014 by Charlie.